Everyone has something that they are really good at, something that makes them stand out from the crowd. For some people this may be a sport; many kids in our neighborhood play soccer and football. Others belong to various running clubs. I think this is wonderful - the world needs athletes. However, if sports are not a child's passion, then I don’t believe they should be put down or made to feel inferior. Having different interests, hobbies, and skills is what makes us all unique individuals. I believe in fostering whatever passion a child may have rather than forcing them to conform to what others are doing. What might be the norm for some isn't necessarily the norm for others. My son loves playing basketball - for fun. He doesn't want to be on a team. He doesn't want to commit to practicing three days a week and playing games every weekend. This is completely OK with me. His passion, his niche in life, is not sports. I know, gasp right? Wrong. My son is not and probably never will be an athlete. Rather, he will change the world around him by educating others and being the best person he can possibly be. Dylan has been in Scouts since 1st grade. Tiger Cub, Wolf Cub, Bear Cub, Webelo, and now he is starting his first year as a Boy Scout. He thrives in this environment and looks forward to his weekly troop meetings. He has a goal of becoming and Eagle Scout like his Grandpa and his hero Rick Schwartz, Ambassador for the San Diego Zoo and San Diego Zoo Safari Park. I have no doubt that with hard work and determination he will accomplish this task. The other passion in Dylan's life is animals. This is something that has interested him since he was a toddler. Dylan has always loved learning about animals, their habitats, and as he got older, creating awareness for animal conservation. Those of you who follow Life with Dylan here and on Facebook know the depth of his passion. His fundraising efforts for San Diego Zoo Global have made him somewhat of a household name around the zoo - When we attend events at the San Diego Zoo or Safari Park, people stop mid-sentence and say "Oh, wait, you're the Dylan! We've heard all about you." Others see him and congratulate him or thank him for what he has done. Sometimes this makes him uncomfortable - he doesn't understand why they make such a big deal about something that seems so natural for him - and I explain that what he does is not "the norm", but that doesn't make it wrong or any less important. Dylan's passion is growing stronger every day and I have no intention of holding him back. We have both seen the rewards of his hard work. Doors are continuing to open for him and amazing opportunities to learn more are within his reach. Ask him what he likes to do and he will answer with philanthropy or conservation work. Dylan would rather spend his spare time reading or watching wildlife documentaries than playing sports and he would spend every weekend at the zoo if he could. 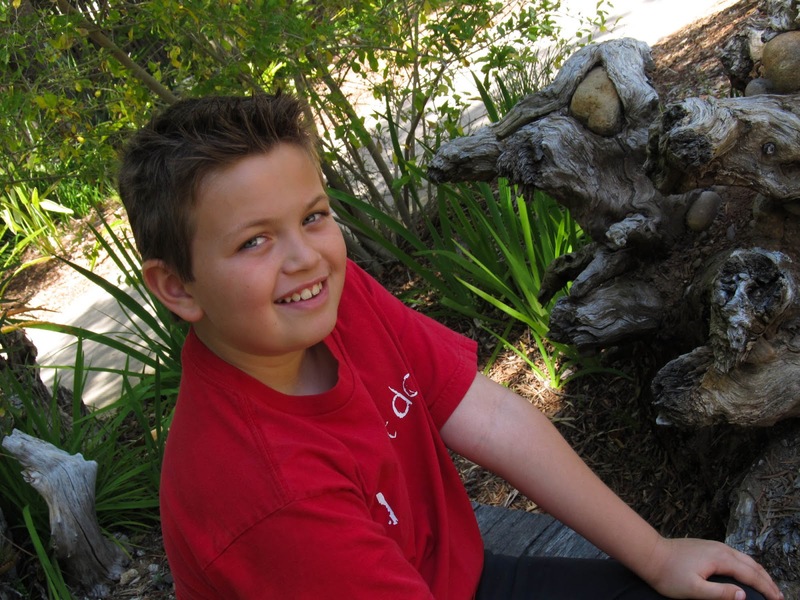 Sure, he plays his fair share of video games, but Dylan is far from the average 10 year old. My son is a philanthropist. My son is an entrepreneur. My son is a conservationist. My son is not an athlete - He is an individual who is making a difference and inspiring others. I am not saying that playing sports is a bad thing or a waste of time. If sports is your passion, then by all means excel in the game. Dylan's playing field may be different, but my son is still an all-star in my book. Big Cat Week on Nat Geo WILD is Back with a Roar!